Email marketing is an excellent way to interact with your customers, and 54% of marketers say increasing engagement rate is their top email marketing priority. But only about 22% are satisfied with their conversion rates. 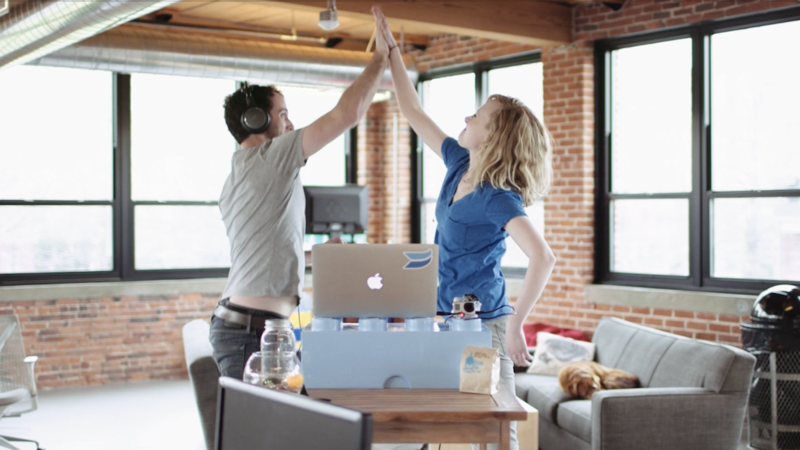 At Wistia, we know that more personal communication through video helps our conversion rates grow. So we thought: What if we could find a way to use video to boost email engagement? We got to work on forming a hypothesis and devising a plan to test it. Ultimately, we hoped to raise our email click-through rates and share our findings with the world. Using video thumbnails in marketing emails will increase our emails’ click-through rates. 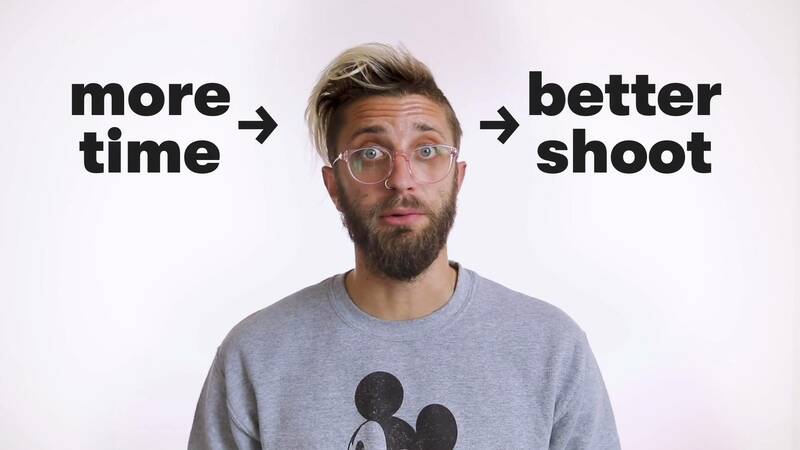 In order to prove this hypothesis, we created 7 separate A/B tests. To ensure that we had only one variable in each test, we kept everything else in the email versions identical. In other words, versions A and B in each test had the same exact copy, subject line, and image. The video thumbnail versions differed only slightly — they had the play button and the time stamp on top of the images. Would the visual suggestion of a video be enough to elicit more clicks? The recipient list for each A/B test was split exactly 50/50, so that we could easily track the changes in click-through rate. Our first email was a content email sent to a segmented list of 11,290 people. We build email lists based on our subscribers’ interests, so we can make sure to send emails that are most relevant to your preferences. The results were exciting — 282 people clicked on Version A (the video thumbnail), while 200 people clicked on Version B (the image). Note: These total click results include clicks on any/all links in the emails, not just clicks on the image and thumbnail. This means that 40.83% more people engaged with the email that included a video thumbnail. Naturally, we were thrilled — that’s a huge difference! From this initial test, we were seeing that video thumbnails in email really were more engaging to our subscribers than regular images. Our second email was a content email focused on a very specific production topic — camera sliders. We sent this A/B test to 5,270 people, none of whom were included in the first test. Again, the results came back positive — 709 people clicked on links in Version A (the video thumbnail), while 570 people clicked on links in Version B (the image). This came out to 24.38% higher engagement with the video thumbnail email than the image email. This percentage change was certainly smaller than the 40.83% we saw in the first A/B test we did, but it was still statistically significant, and still quite a large number. We made sure not to use any of the same lists that got the first email, in order to be certain we had a whole new batch of folks engaging. Skipping to our fourth A/B test email (the third was very similar), we found the numbers to be pretty compatible with our second and third test. 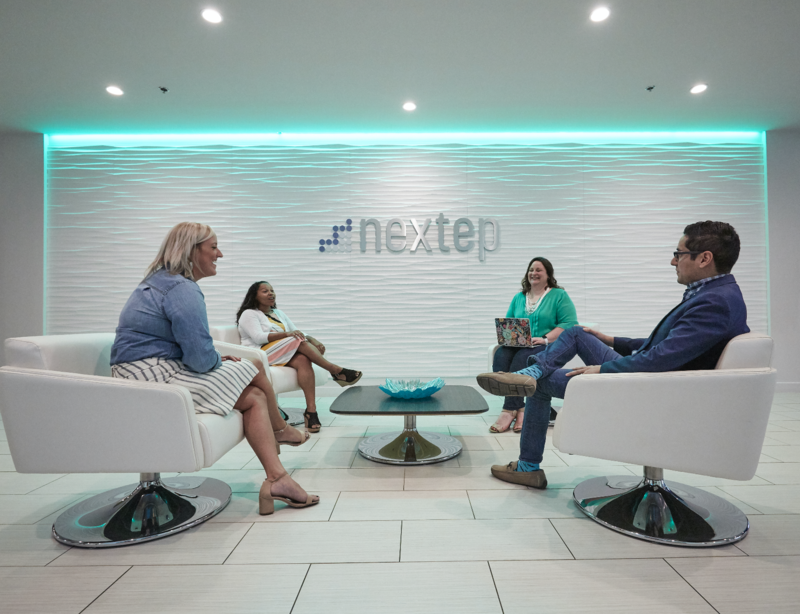 This email focused on video voicemails — a new strategy our Sales and Customer Success teams use to have a more personal touch with the folks they email. We sent this email to 12,592 people — a healthy portion of these folks also received our first email. The video thumbnail version prevailed! We had 25.23% more clicks on the video thumbnail version than the image version. Our next test, Test 5, also had a 22.58% increase in clicks from image to video thumbnail. These percentages were promising. It was really beginning to look like video thumbnails in email increased clicks by approximately 25%. That is, until our next two tests. For the sixth and seventh A/B test, we chose very specific email topics — shooting overhead video (Test 6) and using video in your email signature (Test 7). For Test 6, we found a 15% improvement in clicks on the video thumbnail version over the image version. Although this number was still quite an improvement, it was lower than we had expected. We had about the same result for Test 7 — a 12.7% improvement in clicks. Why were these numbers going down? Although there was no way to be certain, we had some ideas. In the last few tests, our lists overlapped with previous emails’ lists. This means that folks who got the first A/B test emails also got some of the last A/B test emails. This led us to the conclusion that although video thumbnails do perform better than static images, the luster begins to wear off. As marketers continue to try new and exciting things to get their audiences to engage, people get used to those tactics, and their response rates go down. This doesn’t mean that you shouldn’t always go for the gold and try new engagement tactics, such as video thumbnails, but you may want to save them for your most prized content. Do make your video thumbnail engaging. A video thumbnail works well when it’s exciting and piques curiosity. Consider having a human face on the video thumbnail (preferably smiling). Don’t create clickbait thumbnails that don’t represent the content of the video. Do link back to a landing page. 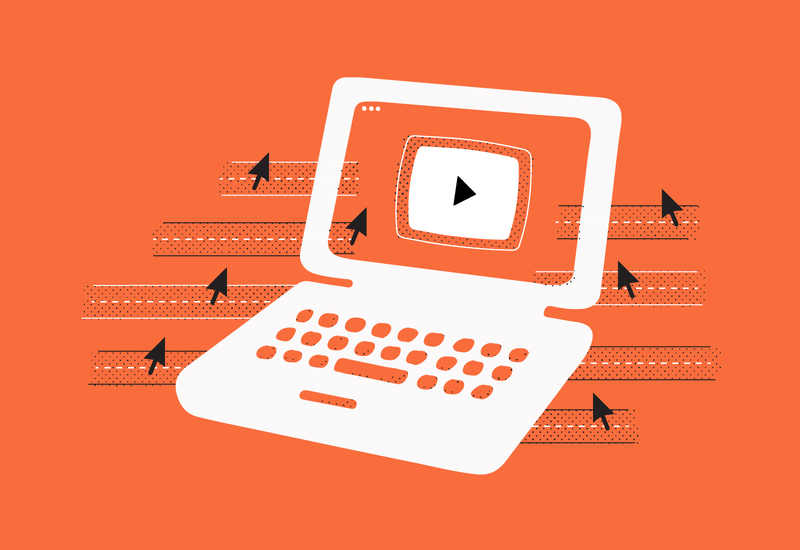 Whether you’re promoting a blog post, a landing page for an event or webinar, or a product page, you’ll want to double-check that your video thumbnail links back to appropriate content. Don’t leave out a CTA. Do create a great video and make it visible. Your video should live on top of your landing page, above the fold. Folks clicked the video thumbnail to watch the video — they don’t want to scroll down and search for it. Don’t create a video just for the sake of having a video. Do consider having your video autoplay. This is the only time we’d recommend an autoplaying video — if the folks who read your email already clicked that play button, they shouldn’t have to click it twice. Back up. How do I do this? If you’ve never used Wistia to embed a video thumbnail in an email, no worries. 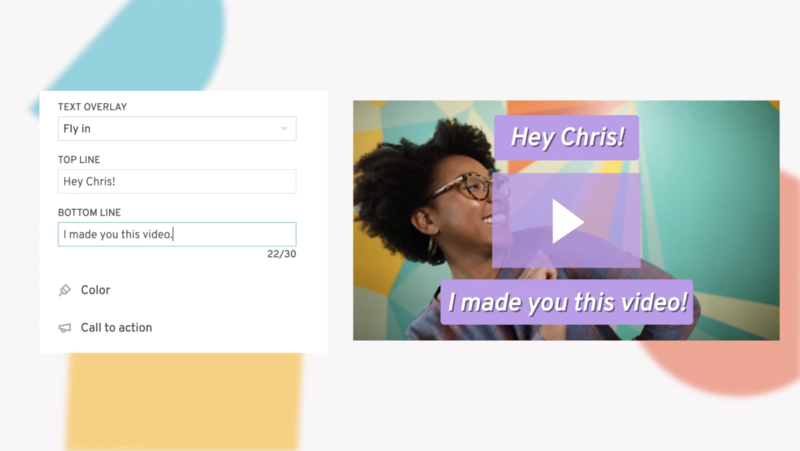 We’ve got integrations with all the major email marketing services, and embedding crisp video thumbnails is as easy as copying and pasting an embed code. For detailed instructions, mosey on over to our Help Center. 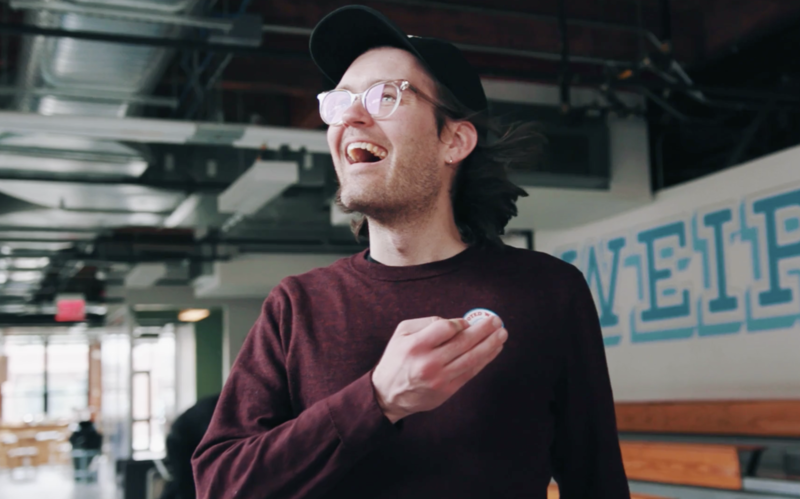 If you happen to be sending your emails via Gmail, you can use Wistia for Chrome to skip all the embed codes and insert your Wistia videos without ever leaving the compose window in Gmail. .
By the end of these A/B tests, we had learned a lot. We learned to use bigger sample sizes to ensure that the results were statistically significant. This proved to be a bit tricky because of our segmented lists. We learned to make sure each A/B test went out to a different set of people who hadn’t seen previous tests. We also learned to take more time and do more tests to make sure we had clear reasons for the results. Was our test flawless? No. Did it suggest something important? Yes. Video thumbnails in emails are engaging. On average in these 7 tests, we saw a 21.52% increase in clicks from image to video thumbnails — that number is hard to ignore. We can’t wait to see how you use video thumbnails in your own emails. Let us know in the comments! Add video thumbnails to your emails in Gmail without fussing with embed codes. Holy guacamole.